RSFranyelys I am validating that this deal works as described. 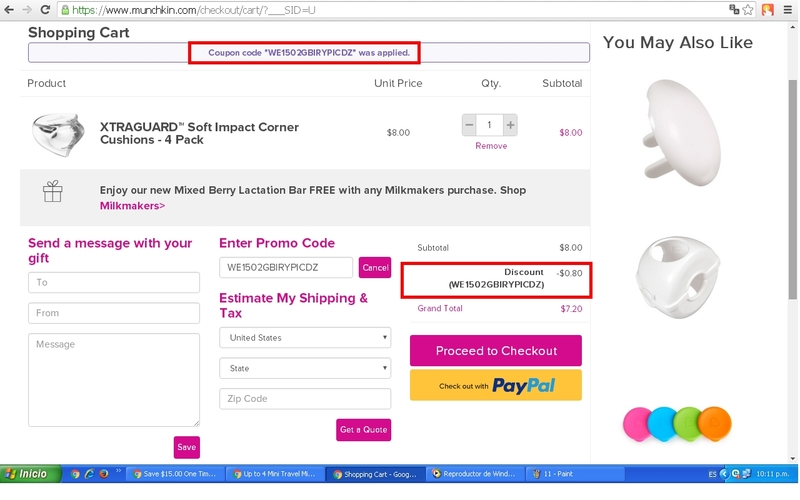 Enter the promo code WE1502GBIRYPICDZ during the checkout process to receive a discount of 10% off your order at Munchkin. There may be some exclusions that apply this deal. jorge I am validating that this deal work as described. Enter code and get Enjoy a 10% Discount on Your Next Purchase at Munchkin (Site-wide). This is a limited time offer. 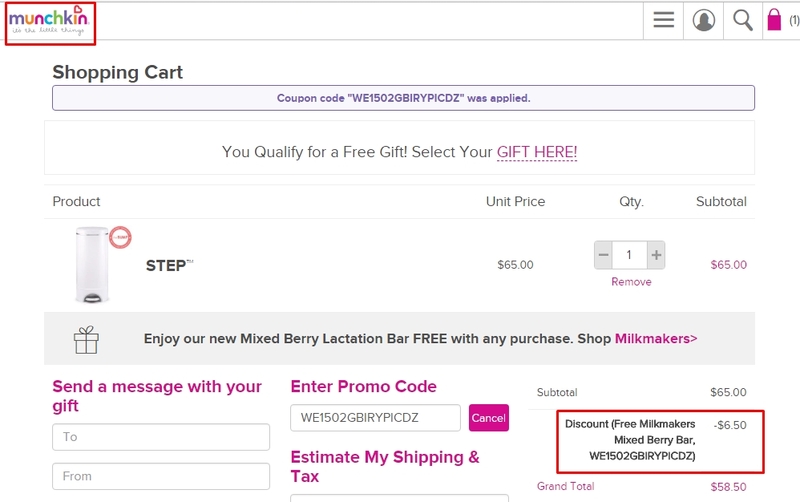 Ricardo ledezma i have tested this code and is working as described, place it at the checkout of Munchkin and enjoy the discount. Maria Alejandra I am validating that this deal works as described. 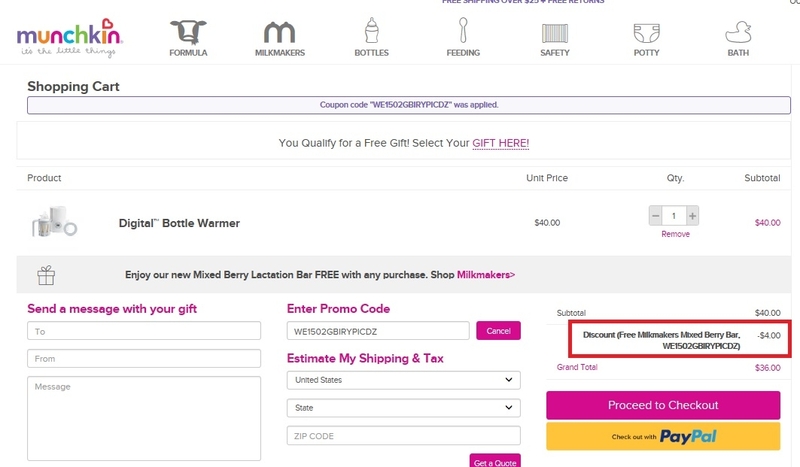 Go to your shopping cart and proceed checkout, apply the promotional code and get 10% Discount on Your Next Purchase at Munchkin. 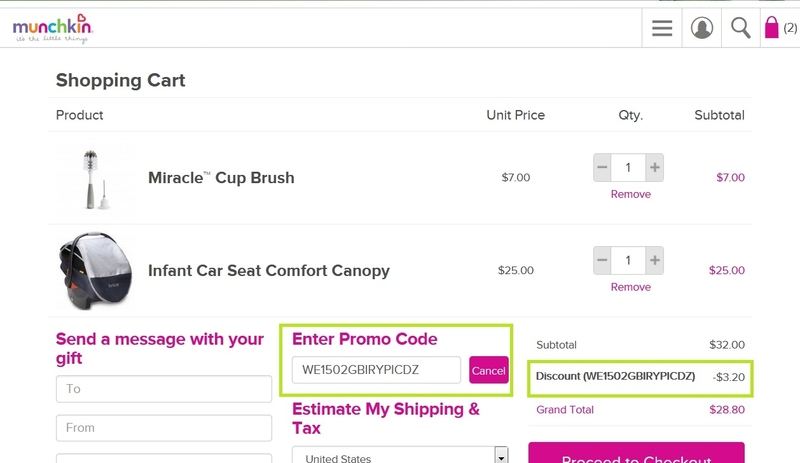 @yorbelis Simply enter the code during the checkout process to apply this discount. There may be some exclusions that apply to this deal. KARIASY VALERIO I am validating that this deal works as described. Enter code at checkout and get discount 10% Discount on Your Next Purchase at Munchkin (Site-wide). 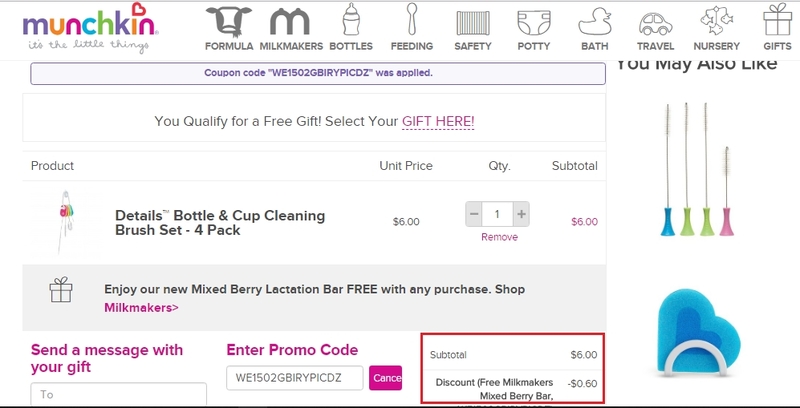 Henry JM This shopping portal is very easy to manage, in addition to learning about some foods that are necessary, complements for the convenience of children when registering is very easy to receive an email with the coupon that gives discount to the product that you are interested in buying only Carry the shopping cart at the end and add your coupon for the 10% discount.